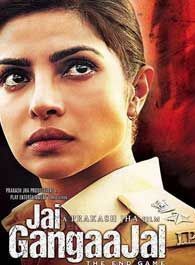 Jai Gangaajal is an action drama film, directed by Prakash Jha. It is a sequel of the 2003 crime film Gangaajal, and stars Priyanka Chopra in the lead role with Jha appearing in a supporting role. The film also features Manav Kaul, Rahul Bhat and Ninad Kamat. Though Priyanka Chopra in the lead role but Prakash Jha's role attract me even more than Priyanka Chopra. In trailer, Priyanka is looking fantastic in the Police Uniform, hope we can see another good performance from her, after Bajiro Mastani. Composers Salim-Sualiman collaborate with PM Modi!